The financial aspects of a divorce settlement will have a lot of moving parts: spousal support, child support, property division, retirement assets, and debt, just for starters. Each of these will also have a tax-related aspect. For example, some retirement assets are subject to income tax; or different assets might have different cost bases, which will result in different capital gains taxes when sold. One of the more important concerns I see in my practice is the tax implications of child and/or spousal support. Child support is not deductible from the paying spouse’s income, nor taxable to the recipient. There is no legal policy that supports tax or tax relief for money spent on your own children for daily living expenses. Spousal support (also known as spousal maintenance or alimony) however, is deductible from the paying spouse’s income, and will be taxable to the recipient spouse. This is because the calculation of support is largely concerned with the lifestyle enjoyed during the marriage, which is a function of income. If the recipient spouse has access to enough income on their own to support their lifestyle, there is no need for additional support. Interestingly, Illinois law allows a unique tool that allows greater tax savings: Unallocated Support. Sometimes called “family support”, unallocated support lumps child support and spousal support into one, large, tax-deductible payment. This is helpful if there is a vast difference in income. As an example, take a couple with two minor children where the husband earns $140,000 per year, and the wife earns $15,000 per year. In this scenario (with no other tax deductions/credits), the husband would have to pay approximately $1,653 per month in child support, and $3,250 per month in spousal support. If he combined both payments into a single unallocated payment, it would result in approximately $2,200 in combined yearly tax savings. 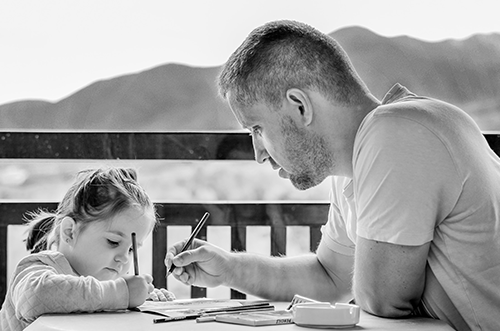 A smart attorney will try to negotiate an unallocated payment that is less than simply combining the child support and spousal support payment, but results in a greater after-tax benefit to the receiving spouse over the traditional two-payment scheme. There is a danger in trying to outsmart the IRS, however. If your spousal support payments decrease too drastically in the first three years, it may be viewed as a property transfer which would not be deductible by the paying spouse. The IRS may then “recapture” these support payments by requiring the paying spouse to pay back the tax savings from the wrongful deduction. This is a problem if there is a short maintenance duration and the payments are unallocated since the maintenance portion of the payment would drop off and the child support portion would remain. The lesson here is that the financial aspects of a divorce can be complicated. Anyone considering a premarital agreement or divorcing with even semi-complex finances should engage an attorney who is versed in tax implications, which can help in negotiating the most advantages division of income, debt and property.